This week we welcomed Lisa Hughes back to the Barden family! Lisa took a sabbatical from Barden and spent the last 9 months travelling and working in Australia and New Zealand. 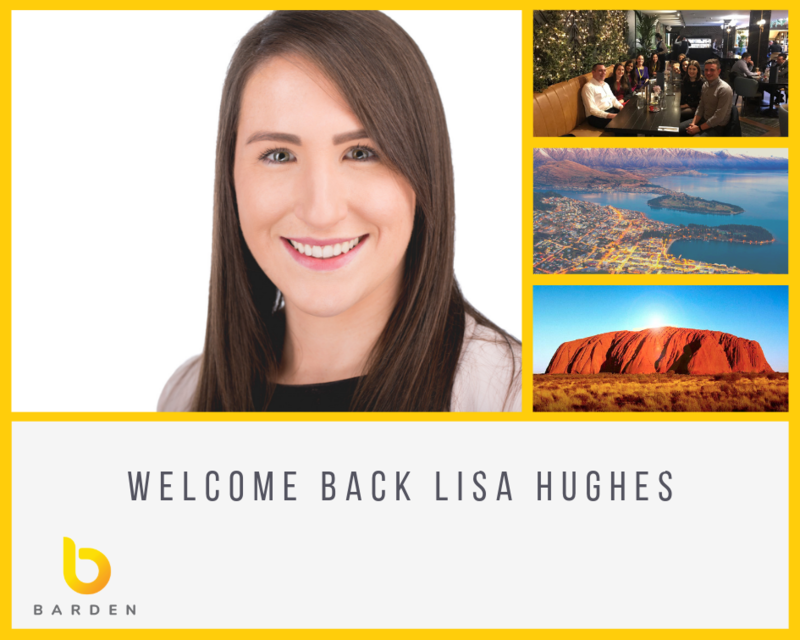 During her time in Australia, Lisa was a Specialist Recruiter in commerce, industry, audit, risk and compliance with T+O+M Executive. T+O+M Executive is Sydney’s leading specialist recruitment firm especially in the are of experienced audit, risk and compliance professionals to the Australian Financial Services Industry. Lisa is a Senior Associate and expert in recently qualified accounting careers. Prior to joining us she completed a Bachelor of Science (BSc) in UCC, gained her ACA qualification through training with KPMG and went on to complete a Diploma in IFRS from Chartered Accountants Ireland. Delighted to have you back Lisa! Are you an accounting professional looking for help in achieving your ambitions? If so get in touch with Lisa at lhughes@barden.ie who is ready with lots of CV, LinkedIn, interview and career advice along with cutting edge market insights.